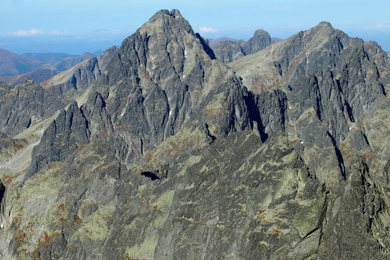 Vysoka is one of the most scenic and most photographed peaks in High Tatras. Its symetrical double summit is very prominent from all sides and views from the top are arguably the most beautiful in High Tatras. 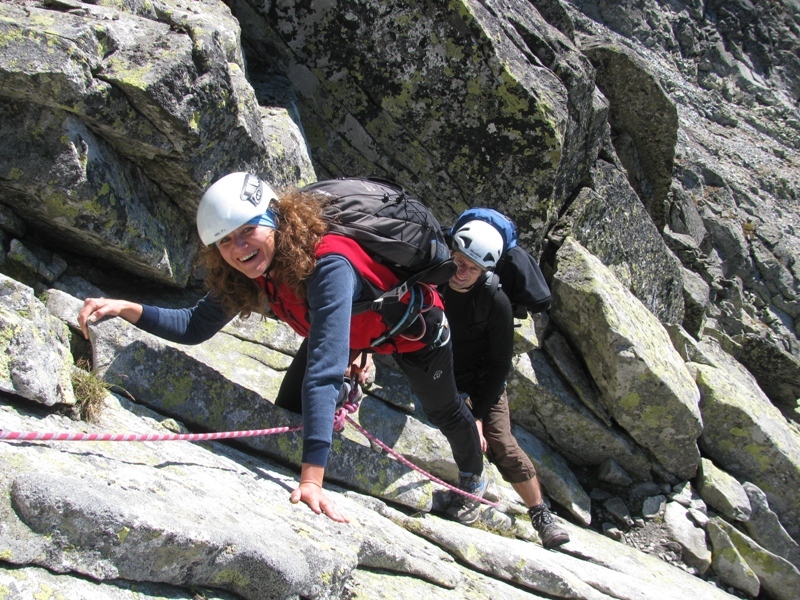 Its ascent is valued among experienced tourists and mountaineers - it leads through technically challenging terrain with exposure where a mountain guide is a vital companion. The ascent of Vysoka is a challenging full day trip. Good conditioning and some experience in technical terrain are a must. There are couple of climbing routes up the peak. The most common leads from Vaha Pass with the day’s start at Popradske Lake. The summit offers excellent view of Gerlachovsky Peak, Satan Peak, Rysy Peak and plenty of others. 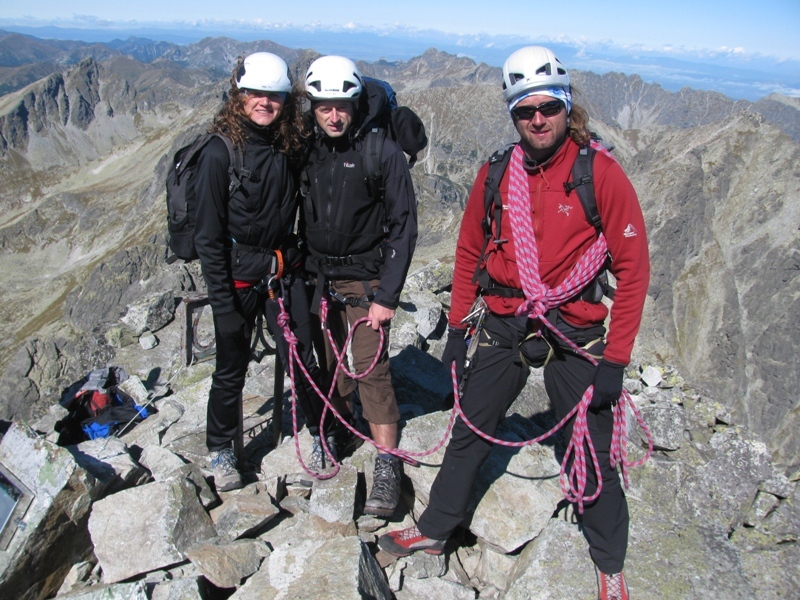 The first to climb Vysoka’s two summits were Budapest geographer Móric Déchy and mountain guides Ján Ruman-Driečny jr. from Stôla and Martin Spitzkopf from Nova Lesna. The first winter conditions ascent happened on April 11th, 1903 when Vysoka was climbed by Karol Jordán, Harry Berceli and mountain guides Pavol Spitzkopf sr. and Ján Franz sr. There is a steel cross baring initials “VR” on Vysoka’s north summit. It is in reference and in memory of Václava Raif who died on the mountain. The cross was carried up in 1955 by his friends Oldřích Bublík and Miroslav Jílek.